Over the years, people who have never touched an inflatable stand up paddle boards have wondered whether it is suitable for surfing, hard and responsive enough to ride the waves. 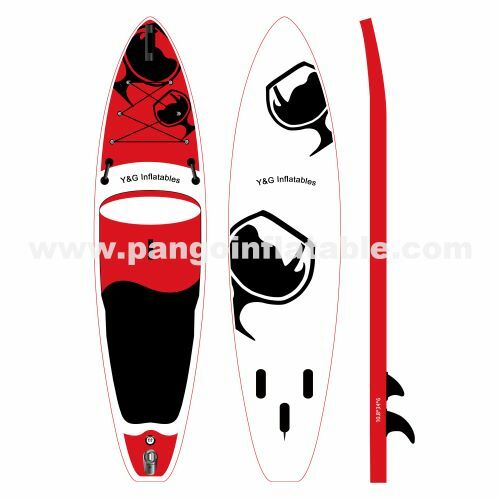 In fact, you can use any ISUP for stand-up paddle surfing, although some models are better than others, and in general, they are better in light surfing than in big surfing. In shape,Inflatable surfing boards have a similar shape to all-around boards although the nose point shape can vary as well as how curved the tip is.With surf boards the nose, tail, rails, rocker (bottom curve of the board from the nose to the tail) and fins all work together to create a good performing board.I don’t find inflatable paddleboards for surfing quite as technical as a hard board. 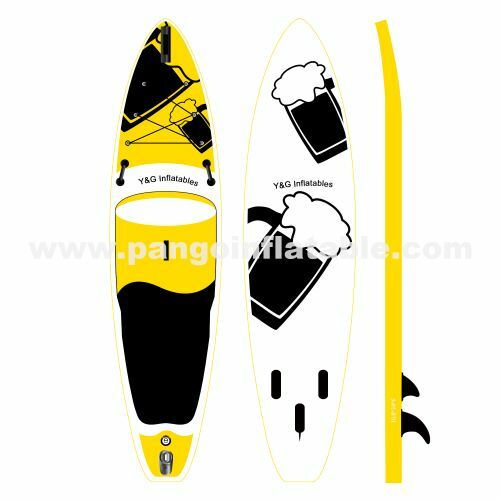 You won’t find as much variance in the rail and rocker or the fins or tail for example.However they are still great for surf especially if you are a beginner or even an advanced rider that wants the ultimate convenience of portability and easy storage.Try to choose an inflatable paddle board that has a slightly narrower tail and more curve in the bottom floor. These will help you maneuver better on waves. Through scientific research,SUP boards that are good for surfing typically range from roughly 7’ long to 12’ long.Which size you choose will depend on your size, skill level and needs.Smaller boards will best suit someone with a smaller frame or a more advanced rider who wants a paddleboard that can turn and maneuver quickly.But for those who prefer to ride on the long board, the long board (10 '-12') is a good choice. As your surfing style evolves, your board choices will change. When most people learn to surf, they choose the long board because its length, size and stability make it easier for them to get into waves. So if you're a beginner and don't have a favorite style, stick with the longer inflatable stand up paddle boards until you improve!